"c:\Program Files\conemu\ConEmu64.exe" /cmd "C:\Program Files (x86)\PuTTY\putty.exe"
This worked perfectly for a long time. I was last using version 5.5.6 (build 4746). 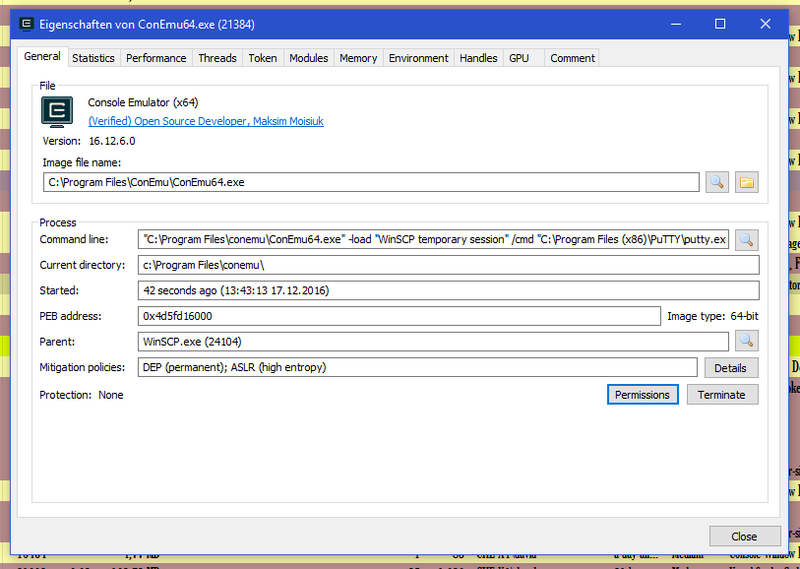 Then I updated to version 5.9.3 (build 7136) and it stopped working. -load "WinSCP temporary session" /cmd "C:\Program Files (x86)\PuTTY\putty.exe"
Or run ‘ConEmu.exe -?’ to get the brief. P.S. Can you tell me, how do you execute ConEmu64.exe? it sounds like you start it from the .bat file. 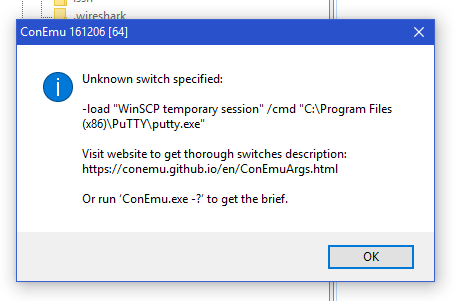 "c:\Program Files\conemu\ConEmu64.exe" -load "WinSCP temporary session" /cmd "C:\Program Files (x86)\PuTTY\putty.exe"
I don't see WinSCP involved anywhere?! 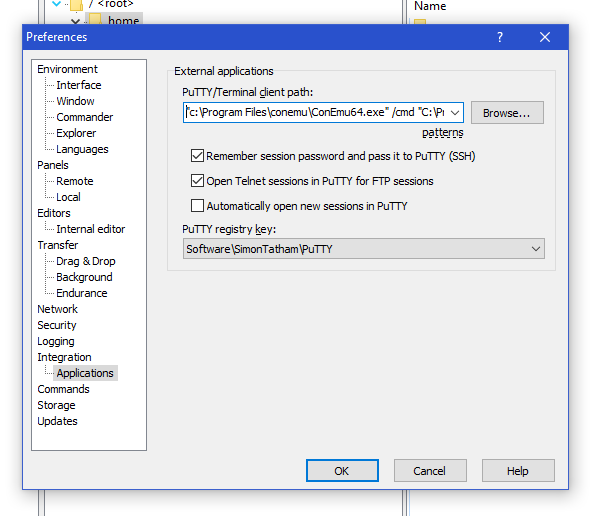 I am talking about setting it as path in WinSCP for PuTTY (similar to how the WinSCP docs suggest running WSL SSH instead). Under "Applications" in the settings. Thanks for your report. I'll try to find some good solution.